Simple and effective are words that describe the Century Club created by Denny Sullivan more than a decade ago and since run by Carol Zack. Many people participate as a way to keep themselves motivated to keep hiking or running the Butte. 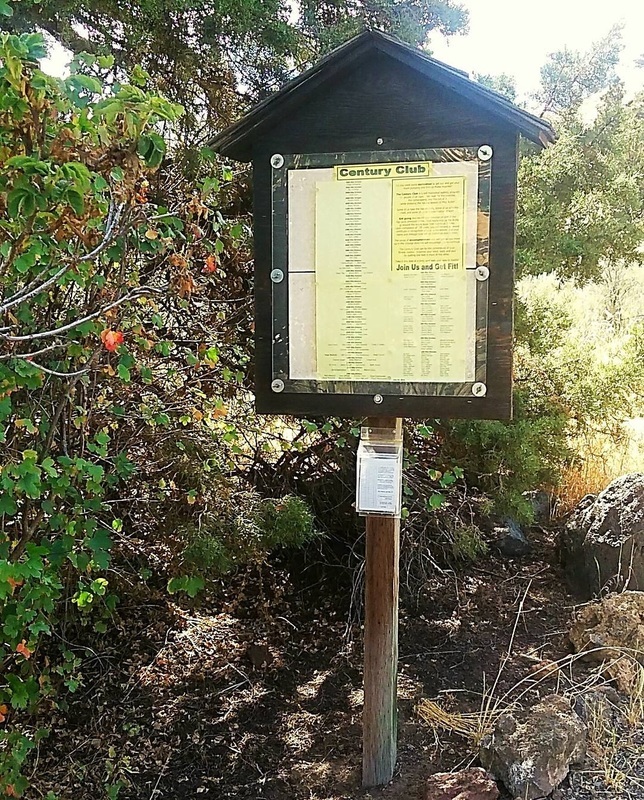 Their total mileage is posted regularly in a kiosk at the trailhead, Like many of Denny's ideas, the original goal was for people to compete with themselves to become more fit. But people are people and some become competitive which is also good. There are some impressive totals listed in the kiosk. Check it out next time you visit the park. Got a story about how the Century Club helped you? Send it to us at PilotButteInfo@gmail.com and we may post it here.